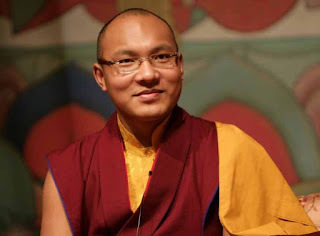 Shimla : In a significant development, the Himachal Pradesh High Court on Wednesday set aside the trial court decision to drop charges against Tibetan religious head and 17th Karmapa Ogyen Trinley Dorje in a currency seizure case, and asked the himachal government to initiate criminal proceed against him. "The impugned order rendered on May 21, 2012, by the judicial magistrate of Una is quashed and set aside," Justice Sureshwar Thakur observed in a 48-page judgment. "In sequel, the application preferred before the trial court by the assistant public prosecutor for permission to withdraw from prosecution against the Karmapa herein is dismissed," he said, while disposing of the petition of Gangtok-based NGO Denzong Nang-Ten Sung-kyob Tsogpa. Justice Thakur asked the government, including the director general of police, to proceed in accordance with law against the Karmapa. "The instant criminalrevision petition is directed against the impugned orders. The petitioner herein claims the relief of quashing of the order and seeks a direction from this court for reinvestigation of the case by an independent agency," said the judge, who had reserved the judgment on June 1. The Karmapa was charged with criminal conspiracy under relevant sections of the Indian Penal Code. He was the 10th accused in the seizure of currencies of 26 countries, including 120,197 Chinese yuan and around Rs.5.3 million in Indian currency, from the Gyuto Tantric University and Monastery located on the outskirts of Dharamsala, the seat of the Tibetan government-in-exile, on January 28, 2011. It was after the seizure of Rs.1 crore meant for land purchase that police conducted searches at the monastery and recovered the currency. The 30-year-old Karmapa is the spiritual head of the Karma Kagyu School, one of the four sects of Tibetan Buddhism. He joined the Dalai Lama in exile in 2000. Ever since, he has mostly lived at the monastery in Sidhbari near Dharamsala. "What disturbs this court is that the money which was Rs.1 crore and nabbed from the vehicle on January 26, 2011, was dishonestly divulged by the occupants of the vehicle," Justice Thakur observed. The unaccounted foreign money, in transgression of the norms of its legal conversion into Indian currency, was utilised for settlement or finalisation of the shady land transaction, he said. Copyright @ 2017, Owned By : RNews1 Network | Our Networks : English News | Hindi News | Social | All Rights Reserved.